The most important piece of kit? Now that the chaos of the last 5 days of voting has finished, I suppose I better get back to my day job of writing this blog! You guys have really out done yourselves with the sheer amount of comments left on the last post about this topic! Thank you all for your input, but you have all made this previously simple post a little bit more complex. Up until a few weeks ago, I would have answered the same way as alot of you, however a member of the NEAS mechanic team made me think differently. I was talking to him about various things when he said something that really made me think and has changed my view of what is the most important piece of equipment that I use on a daily basis. I asked alot of my colleagues what they thought, and I got a variety of answers just like what you all have given, however no-one thought the same as me. As soon as I have taken the radio off the shift that I am relieving, I load up with my helmet bag, Hi-Vis Coat, Morphine and Oromorph. They all have their places on my Ambulance or RR car and they get stowed away first. After all if a job comes in straight away, I need to be able to head off immediately. I always like to check the lifepak 12 first, then I move onto my gases (O2 and N2O2), then go through my first response bag and paramedic bag, ensuring all of the equipment is present and all of the consumables (cannulas, flush, fluids, bandages, gauze, BM sticks etc etc) are all present. Following on from that, it’s a check of all of the drug levels and then the remainder of the car – splints, maternity packs, incontinence sheets, vomit bags etc etc. Finally I move into the cab and check that I have enough patient report forms, map books and ‘death’ forms (recognition of life extinct’ ROLE’ forms). Once all of this is done and I am happy that the vehicle is fully stocked, then I will move on to the vehicle, whether it is the car or the ambulance and will do the full daily vehicle inspection. Now, here is the question to put everything into perspective. I have a fully stocked car, I have all of the latest medical equipment available to the UK paramedic and I am a fully trained experienced paramedic. Then an emergency comes in and I jump into the car and head out of the station only to find that I have a flat tyre, or the brakes are grinding, or the oil warning light has come on. What about if I am on the ambulance and I head out on my first job to find that once I get there the tail lift on the back of the vehicle isn’t working and so I need another ambulance to transport the patient to hospital (if they are a non walker obviously)? What good am I to the patient if I cannot get to them in the first place, or once I am there, I cannot get them to definitive care in any sort of reasonable time frame? Like some of the other commenter’s have stated, what use is my training, experience and brain, if I cannot actually look after a patient? So my answer to the question is – The Vehicle that you respond in. Since I had that discussion with the mechanic, I make it my priority to check the vehicle before I check my equipment. It took a while to get used to changing that initial check, but there have been a number of occasions where I am glad that I have! Now, what do I do with the rest of your suggestions? You all took the time to comment, so I suppose I should too. Please understand though that these are my own opinions only and may be completely the opposite of yours, and are not necessarily correct! A pen – Not essential. I can remember all pertinent facts and can borrow a pen from the patient’s house or at the hospital after the handover. A Pocket Mask – Not essential – It would be a very rare day that I actually did mouth to mouth on anyone. At work, I will always have a BVM with me. A Coffee Maker! – Not essential, especially for me as I don’t drink tea or Coffee or anything hot, and if you do there is always the hospital to top up at! Stethoscope – Not essential. That may surprise you, but with good clinical judgement and good old ‘hands on’ care, you can tell if someone is hypo or hyper tensive. You can assess and observe someone to have obvious abnormal chest sounds just with keen listening. You can clinically suspect a tension pneumothorax with enough certainty to consider a decompression, and ultimately if you are auscultating a chest and having to really listen carefully for very subtle sounds, is that going to change your treatment plan? O2 Therapy – Not essential (In the vast majority of cases) We now work to new guidelines which has us only administering oxygen in the presence of true hypoxia. MI patients, CVA patients etc do not get O2 unless they have reduced saturations. You can read more about that at this link. Good Partner / EMT – Not essential – Don’t get me wrong it makes the whole process a hell of alot easier if you have someone who can work alongside you and be there with what you need when you need, but coming from my own perspective working mostly on my own, then I can obviously manage without a partner (good or bad). However, I do know the difference it makes to be with someone who you really work well with. Big Side View Mirrors – What happens in San Francisco, stays in San Francisco!! Not essential though. Anything That Goes ‘Beep or Whirr’ – Not Essential – whilst I want to put this in the essential list because I am a ‘geek’, I am afraid I have to go with my true instinct and say that in the most instances, the more something beeps or whirs, the more it can distract the paramedic/emt from doing their own hands on assessment and instead, just looks at the beeping and whirring machines for the answers to their medical questions. Brain, empathy, listening, knowledge, your eyes and ears, Intuition, autonomy, common Sense and skills – Obviously essential, however these are disqualified as they are not equipment. But what is the most important of these? The reason why I have not been able to discount these is that, I cannot think of another way to do something if I didn’t have these pieces of equipment with me and I was at a job that actually required them to be used. When I discussed this with my wife (who is now also on Twitter by the way @Mrs999), we had an interesting discussion about the Lifepak 12. I said that it is only essential because of its defibrillation capability, not its monitoring and 12 lead ability. (Shock, Horror!). I cannot figure out another way of delivering an electrical current to a patient other than with a precordial thump to a witnessed arrest, but I am fairly good at recognising an MI based on clinical presentation. Agreed I may not get it right 100% of the time, and I am sure it would be bloody hard to get my patient in the cath lab without a 12 lead done on the ambulance, but I would be confident to treat a patient as an MI without a 12 lead ECG. There was a piece of research done a number of years ago, that unfortunately I cannot find, which was based around a Scottish GP living in the highlands. He had no monitoring equipment but had over a 90% correct diagnosis rate based on clinical presentation of MI`s. So with all of that and taking this to its most extreme hypothetical situation, do you really need a monitor to treat a patient for acute cardiac chest pain? As for rhythm recognition, I have my fingers and a patients pulse for that..
As for the remainder, I cannot decide what is the most important. Obviously diesel and communications are essential, but I think they can go along with the Vehicle as THE most important thing anyway. That leaves BVM, Tough Cuts, Suction unit and Gloves. I can’t help but feel drawn to the suction unit here, as whenever I think of ‘making do’ without a suction device, the images that come into my head make me want to vomit! So surprisingly I think that is my answer. After a vehicle, the most important piece of equipment, if it existed, would be a suction machine with defibrillation capabilities! I bet some of you are chomping at the bit to disagree with me now. Just remember though, this is a hypothetical question and you need to think about looking after your patients in the most basic fashion possible but still be able to give them care. I am not talking about best practices here; I’m talking about post apocalyptic EMS! 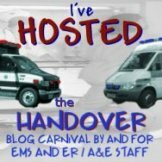 « Medic999 – Fire/EMS Blog of the Year 2009! Mark,Interesting comment about the watch and infection control. I noticed this myself a few years ago, when the metal band on my watch began to visibly collect, um, 'stuff.' Since then I've switched to a style which clips to my belt loop, and I love it. I suppose it could also be clipped to my bags if I wanted.Does the famous green jumpsuit have belt loops? Very interesting paper on oxygen therapy. Thanks for that link. Mark, I think you are right. If you can't get to the patient everything else is irrelevant.I'm sure you have heard of the “power” method of checking the vehicle at the start of a shift;PetrolOilWaterElectricsRubber (Tyres)Nick. I was a bit surprised when we got the O2 bulletin here at NWAS, I must say!Thanks for including my Tuff Cut suggestion. I have to admit that I didn't realise quite how important they are until mine broke and I was next sent to a motorcycle vs car RTC that obviously required spinal immobilisation. It was very cold, so the gentleman had loads of very thick layers on, and he was a big man as it was, so I couldn't get a collar on him without removing his clothes. A friend of the Pt gave me some small sewing scissors, and as much as I appreciate the gesture, it was bloody useless! Actually, I just thought of a bog standard Friday night shift in my Northern city centre (as you'll be more than familiar with up Gateshead way Mark), and the thought of working without gloves is quite a horrifying prospect. Mark, Interesting perspective. I'll have my reply post up on Sunday. I've been a bit busy this week dealing with my mother's medical issues. It doesnt have belt loops but does have velcro fastenings which could be used. However, the green jumpsuit is now dead. Now longer available!! Back to shirt or T-shirt and trousers! Ill look forward to your post and will put something up linking to it when it is up.Hope your mother is Ok..
Not enough room, so I guess I will post up on my blog site. Good stuff you got here, though. Good stuff. When checking out the truck I try to split it up with my partner. One of us checks the equipment, drugs, monitor, o2 level etc. The other checks under the hood, fluid levels, tires, map books etc. Further thoughts1. Gloves: Well, if you didn't have them washing your hands well could take its place.2. BVM: If without a shield could be improvised and mouth to mouth used.3. Comms: If radio goes out use cell phone?4. Tuff Cuts ah shears…. perhaps just rip and tear.5. Suction: Recovery position6. Monitor/Defib Can't be improvised or borrowed. I think all the others could….to one degree or another….you won't make up a monitor or borrow one so I think this is most key.Early in my career I worked with an experienced medic who would check out a truck as follows: do we have drugs? Yes do we Have monitor? Yes Do we have O2? Yes. Well, then we can fake the rest. Something to that as we carry way too much stuff on ambulances. I believe the most important piece of equipment, and most people would not call this item, a piece of equipment, but I believe that the most important “tool” that we all need, and that we all have, is two hands, without a knowledgeable set of hands, we are useless. Without them, we cannot do CPR, take a BP, clean and dress a wound or operate a BVM.